Welcome to The Boma Day Spa! 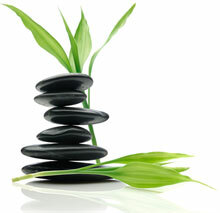 We offer Massage Therapy, Aesthetics, Reflexology and Spa Body Treatments. We are also delighted to offer our clients a reputable range of beauty and lifestyle products, such as Dermalogica Skin Care, Imported Soaps, Spa Products and Candles. Please browse through our website to find the services that are just right for you. And for your friends and family, a Gift Certificate to The Boma is a sure-fire way to please! The Boma Day Spa is located at 130 Oak Street, Suite 7, Ellsworth, Maine 04605. Please call 207-669-6239 or 207-266-3069 for inquiries or to arrange an appointment. Mastercard & Visa accepted.